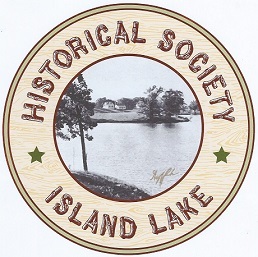 The Historical Society of Island Lake is a dedicated group of long-time and new residents, and children and relatives of residents who reside in the area or out of state. All are interested in historical research and collection and preservation of memorabilia and documentation about our town. Become a member of the Historical Society of Island Lake and receive a quarterly Newsletter featuring lots of old pictures and memories. Dues are $10 per year per person, $15 for families, and only $5 for seniors.